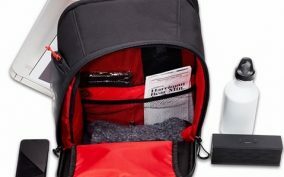 InsideIndustryNews.comGreen Products News ReviewsVoltaic Systems – Converter 5 Watt Solar Panel Backpack with Backup Battery Pack. Voltaic Systems – Converter 5 Watt Solar Panel Backpack with Backup Battery Pack. 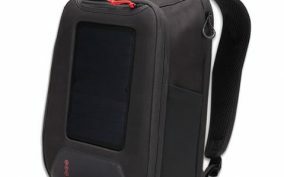 Lately, more and more companies have been trying leverage solar panel technologies on backpacks and accessories and for the most part, this effort resulted in wave of very interesting products. With Solar Technology cost dropping substantially, there are finally affordable and functional solar panel backpacks to choose from. That said, when we came across Voltaic’s product offerings we couldn’t wait to get our hands on one and here it is. 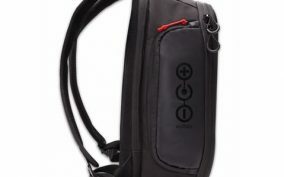 The Voltaic Systems – Converter Solar Backpack w/4400mAh battery pack. 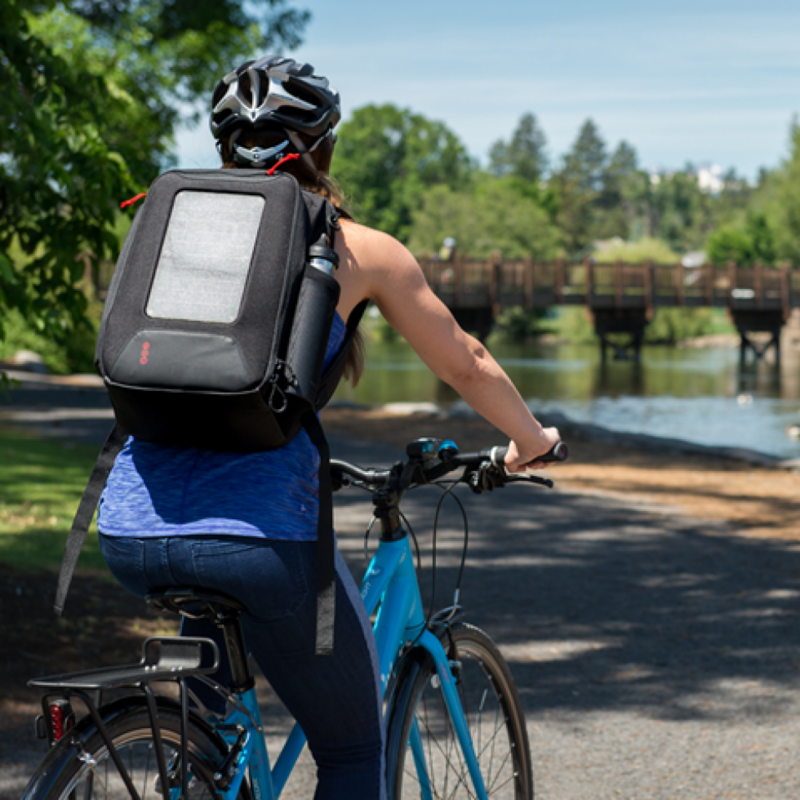 To test Voltaic’s Solar Backpack, we decided to give the thing a whirl in very sunny Southern California for a few weeks. While we walked several miles up and down the Southern California beach coast we ended up walking away marginally impressed. The backpack is definitely a step in the right direction, but as techies we where hoping for more. What can I say, it’s a back pack with a Solar panel on it. I wish it where more than that, but if we are being honest, besides the panel being built in I can recreate this build with just about any backpack. 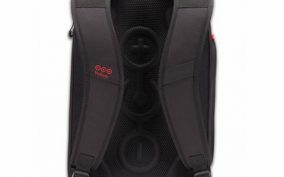 Now, don’t get me wrong as it is a comfortable and very well-built backpack, but I don’t feel like its something special. 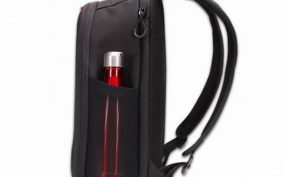 The Voltaic backpack is very well built using recycled PET (water bottles) fabric and ETFE coated to withstand abuse and can definitely take a beating. The integrated Solar panel is a 5W SunPower High-Efficiency panel, and works great unfortunately for Voltaic, they didn’t use a high quality power bank to store the power as it now only takes forever charging via solar but also via a direct AC charge. I swapped the power bank with a Generic 8000mAh battery (Tested at 78% efficiency) and not only did it charge faster but charged my devices faster than the included Voltaic V15. Sadly, the Voltaic Converter does not live up to the hype, but I can’t blame them. I see they are trying to offer cutting edge technology when it comes to panels but pulling back on battery tech to offset the price enough to make the solution affordable. With excellent build quality, innovative features, and a few minor disappointments. The bag is fairly roomy and fits just about all my must haves, but maybe a difficult sell to a student, as it might not have enough room for buck or other items.